Ships in three boxes UPS or FedEx. Due to the large box size, shipping will be higher than the estimated shipping cost. 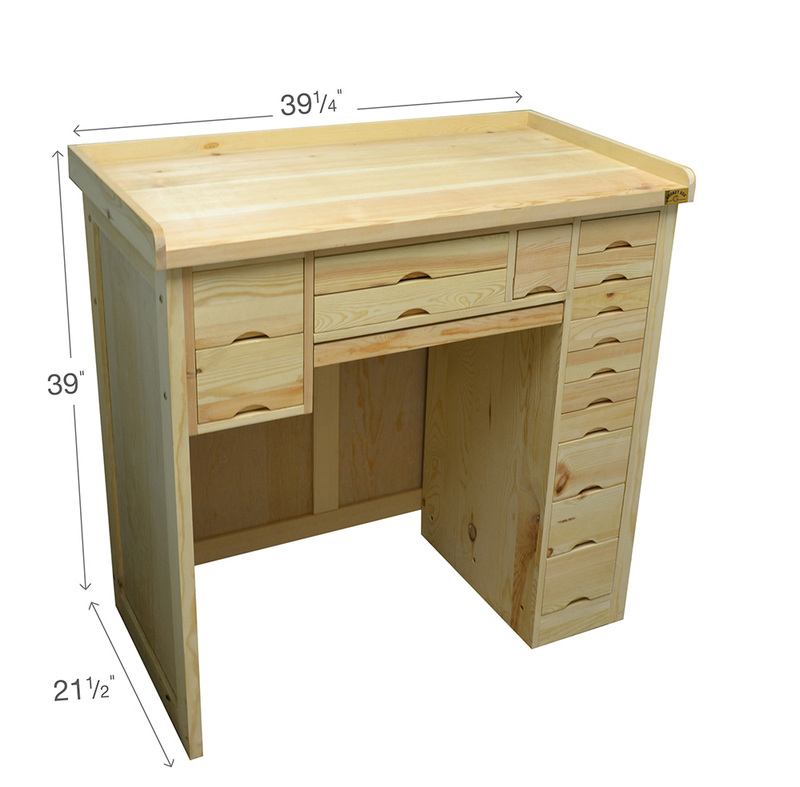 Rugged and elegant, the new Watchmakers Workbench is a must for any repair shop or storefront. Made of a solid wood construction, this quality bench measures 39-1/4” Wide X 21-1/2” Deep X 39” High (Approx. 1M X 0.5M X 1 M). Complete assembly required (detailed instructions supplied). Made in China. Shipping weight: 154 lbs / 70kg.